which surpasses knowledge, that you may be filled with all the fullness of God. Today's promise is part of the amazing prayer that the Apostle Paul prays for the church at Ephesus in Ephesians 3:14-21. In this prayer, Paul makes his requests known to the Father from whom His family in heaven and earth is named after (verses 14 & 15) that He might strengthen our inner man by the power of His Holy Spirit. The whole point of this prayer is that the Holy Spirit would root us deeply in the love of God so that we would have power to be able to know (grasp, understand) the vastness of His immeasurable love that has been given to us in Jesus Christ our Lord. The love that God has for us cannot be comprehended any other way. It is far too great for us to be able to grasp in our human understanding. We need the power of the Holy Spirit to make God's love a reality to us. In Romans 5:5, Paul says that God has poured out His love into our hearts by His Spirit. My prayer today is that each and every one of us would have a love encounter with God through the personal working of His Holy Spirit. 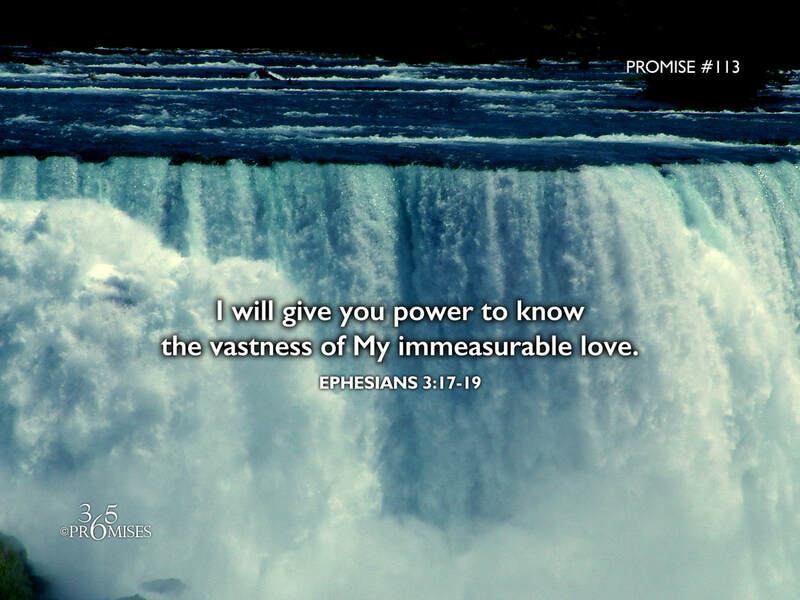 I pray that the Spirit of God would give us power to grasp how deep, how wide, how long and how high His love is for us and that we would be filled to the full measure of God's fullness with His everlasting, unending love!